Sticky Ads are those that follows you when you are scrolling down a page. They bring great view-ability to the advertisement placed on the site, as visitors are tend to click on the sticky ads quite often. 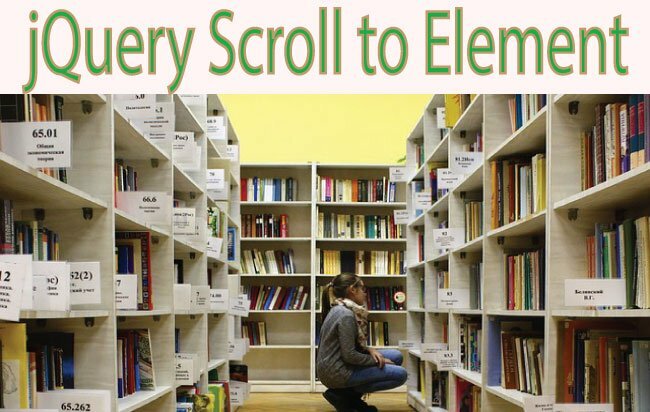 These types of ads can be placed anywhere, like on sidebars or inside columns, on the website where they hold on their position regardless of scrolling. In this tutorial I will explain you to effortlessly develop this Sticky Ads feature in your website. Sticky Ads work on every website – HTML, WordPress, PHP or any other. 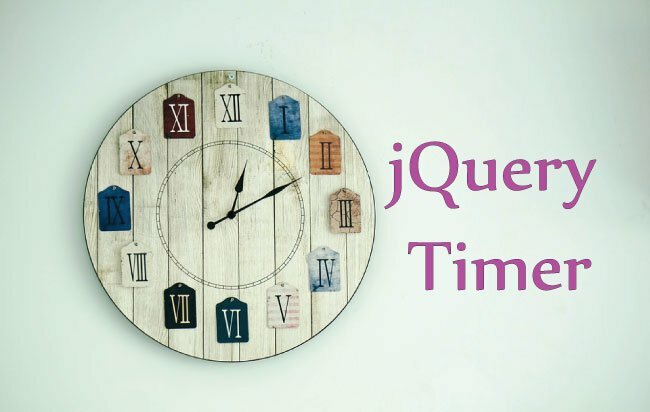 Another tutorial which you will be interested to read is How to create jQuery Treeview with minimum codes. The concept here is to make a HTML div as sticky and inside it place the advertisements. This way the advertisements will become sticky. This sticky div is always stuck inside it’s parent and never leaves it, even if you scroll down the page. It follows you until you scroll down to the bottom of its parent. For implementing this feature I will use Sticky Kit. Sticky Kit is a jQuery plugin for creating sticky elements in the website. It allows you to apply stickiness to any HTML element (div, span, etc). The Sticky Kit has an in-built function called stick_in_parent(). This function checks it’s (sticky element’s), parent’s height and then applies the stickiness for this entire height. You can download the Sticky Kit from here. Follow the below 4 steps to make any div sticky by using this plugin. 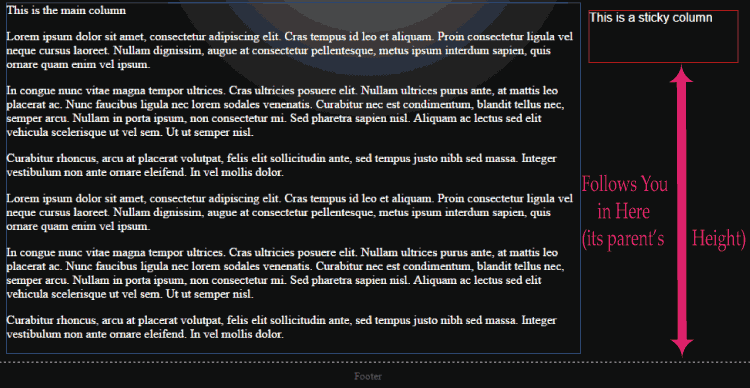 Note – The div having the CSS class as sidebar will be made sticky. It will be sticky for the height of it’s parent, (here div having the CSS class as content). Put the JS file called jquery.sticky-kit.js in the website folder. Add reference to jQuery and sticky kit JS on the page head. Apply the stickiness to the given div. Note – Here I applied stickiness to the div that has the CSS class called sidebar. If multiple elements have the sidebar class then stickiness is applied to all of them. Sometimes you may face problems in implementing Sticky Kit on your website due to the HTML structure of your web page. Therefore you have to apply a bit of hack to make it work. Let’s discuss some of these situations. 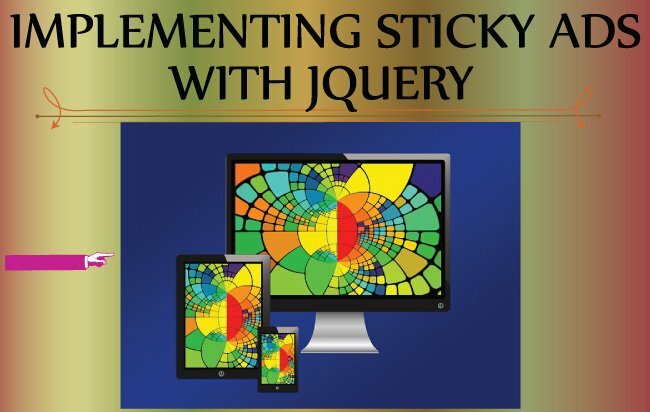 Stickiness is applied to the height of the element’s parent, so if your web page HTML structure is creating problems while applying the Sticky Kit, then you can just use a bit of jQuery to create a hack. Here .sidebarParent is the parent of .sidebar. This will save your time as you don’t have change the web page HTML structure. 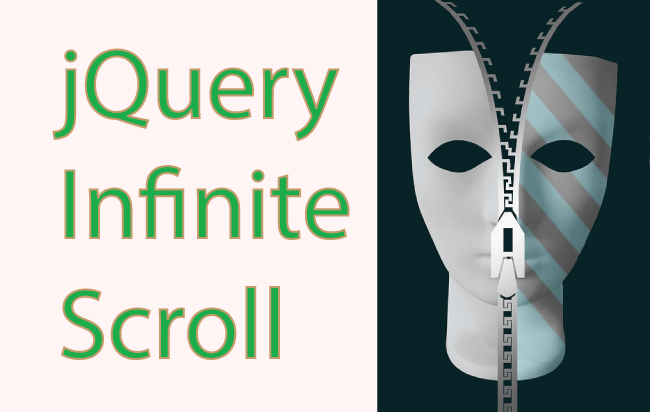 Apply jQuery’s if statement on the window width to do this trick. 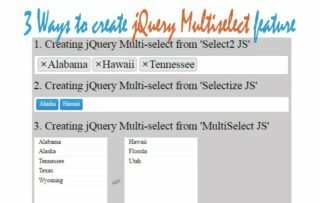 If the parent column is showing some stuffs that are coming from other website, either through jQuery AJAX method or some other way. An example of this thing would be the DISQUS comment that loads after a few second. These comments will increase the height of the parent element after a few seconds. So the Sticky div would not stick for the whole height of it’s parent. To solve this you can call the stick_in_parent() function after a few seconds delay. Note – I used the setInterval function to call the function after 3 seconds delay. By this time I can hope that the AJAX data is received and shown on the div. Not just ads, use the Sticky Ads feature to make any column or multiple columns sticky. Sticky Ads will give you good revenues while showing advertisements in your website. I hope this tutorial will helps you so please share this tutorial by using the share buttons given below.